Totally Plant-Based - No Sugar, Eggs, or Heavy Mayo! 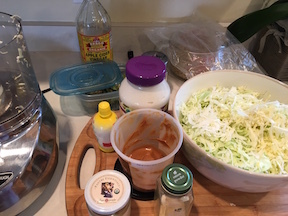 Dressing Ingredients – Let the Fun Begin! Blend all ingredients and sweeten to taste. 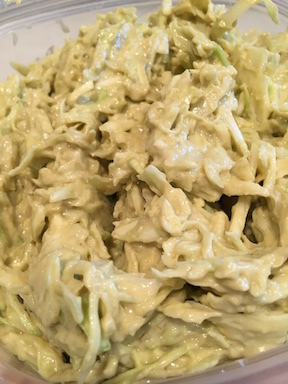 Using a spatula, gently mix dressing into shredded cabbage. Enjoy!